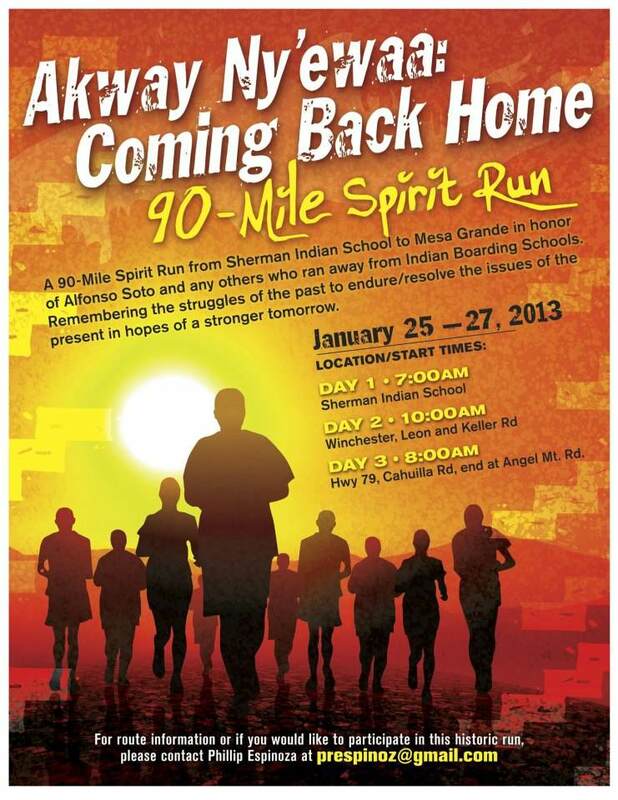 Phillip Espinoza is organizing this run to honor those that ran away from the Sherman Boarding School in Riverside, California. It retraces the steps that Alfonso Soto took to return to his home and family. Please join and support. Contact Phillip for more information.